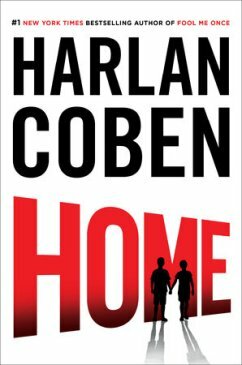 Confession: I have never read a Harlan Coben novel. Prediction: I will read Home in the very near future. After seeing the moody, haunting trailer for Coben’s new book, I am definitely intrigued—I want to learn more about the two boys who were abducted from their wealthy families, why the kidnappers seemed to vanish after the ransom was never paid, and what happened over the next ten years. Most importantly, I want to know the identity of the brooding young man in the hoodie sitting in a dusty bedroom full of broken toys. Is he Patrick, is he Rhys, or is he an imposter? I’ll have to read the thriller to find out, I guess. The brief video for Home is everything I want in a book trailer: intense, mysterious, and stylish. I don’t need more, and I wouldn’t want less. It’s the Goldilocks of trailers: just right. 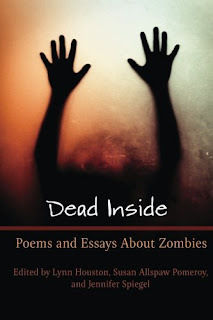 Congratulations to Lisa Murray and Timmy Reed, winners of last week’s Friday Freebie giveaway: Dead Inside: Poems and Essays About Zombies, edited by Lynn Houston, Susan Allspaw Pomeroy and Jennifer Spiegel. For fans of Joshua Cohen and Ben Lerner, After James captures the dystopian strangeness of our current world. 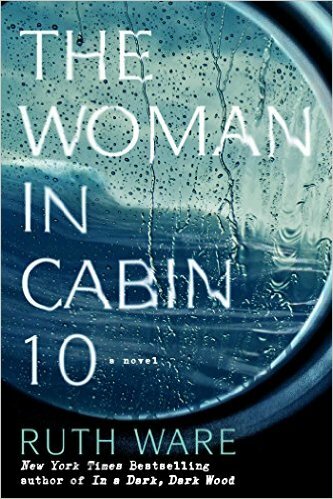 A neuroscientist walks out of her life and isolates herself in the woods, intending to blow the whistle on a pharmaceutical company and its creativity drug gone wrong. 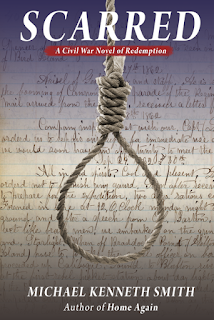 A recently orphaned graduate school dropout is hired as a “literary detective” to decode the work of a mysterious Internet poet who writes about disappearances and murders with an inexplicably precise knowledge of private details. And a virologist discovers her identity has been stolen by a conceptual artist in whose stories someone always goes missing. Ali, James, and Celia exist in worlds where implausibilities that once belonged to science fiction, ancient superstition, or dystopian visions are real or impending. 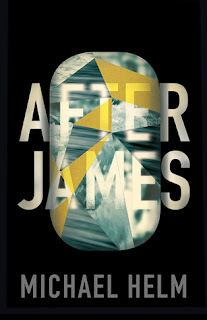 Set in great cities, remote regions, and deadly borderlands, Michael Helm’s groundbreaking novel, After James, is told in three parts, each gesturing toward a type of genre fiction: the gothic horror, the detective novel, and the apocalyptic. Science and art become characters, and secrets form, hidden in the codes of genetic sequences, poems, and the patterns of political violence. Part to part, elements repeat―otherworldly weather, disturbing artwork, buried corpses―and amid these echoes, a larger mystery arises, one that joins artifice to nature, and fiction to reality, delivering us into the troubling wonder of the present world. Put FRIDAY FREEBIE in the e-mail subject line. Please include your mailing address in the body of the e-mail. One entry per person, please. Despite its name, the Friday Freebie runs all week long and remains open to entries until midnight on Sept. 1, at which time I’ll draw the winning name. I’ll announce the lucky reader on Sept. 2. If you’d like to join the mailing list for the once-a-week newsletter, simply add the words “Sign me up for the newsletter” in the body of your email. Your email address and other personal information will never be sold or given to a third party (except in those instances where the publisher requires a mailing address for sending Friday Freebie winners copies of the book). 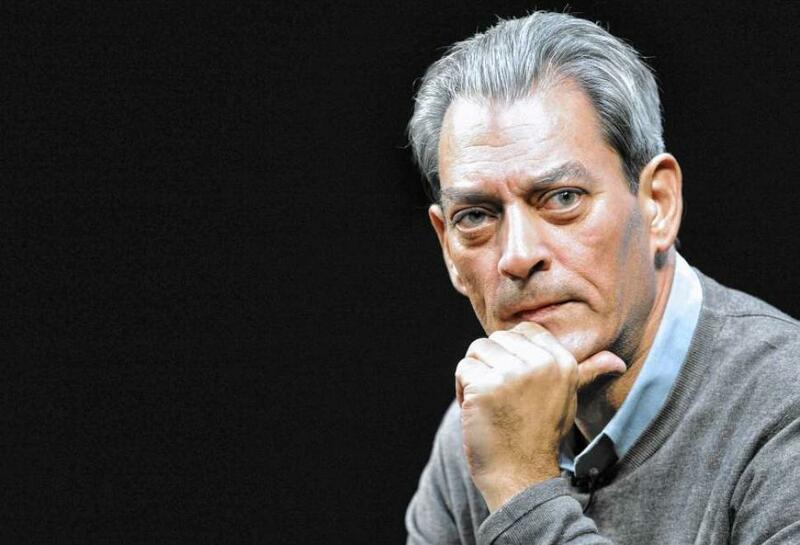 4 3 2 1 by Paul Auster (The New York Trilogy, The Book of Illusions, and Sunset Park), about the four parallel lives of one 20th-century, American boy, to Holt for publication in February 2017. 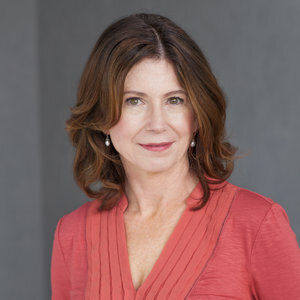 Lovers and Exiles by Paula McLain (The Paris Wife and Circling the Sun), based on the life of Martha Gellhorn, the war correspondent who was also Ernest Hemingway’s third wife, to Ballantine for publication in 2017. America was Hard to Find by Kathleen Alcott (Infinite Home), tracing the fallout of an affair between an astronaut and a radical anti-war activist on their families, friends, colleagues, and, especially, their child, from the 1960s through the Cold War, a period of time when Americans’ understanding of their own country utterly changed, to Ecco. The late Michael Crichton’s Dragon Teeth, following the rivalry between real-life paleontologists Edward Drinker Cope and Othniel Charles Marsh during a time of intense fossil speculation and discovery in the American West in 1878, told through the adventures of a young fictional character named William Johnson who is apprenticed first to one, then to the other and not only makes discoveries of historic proportion, but transforms into an inspiring hero, found in the Michael Crichton Archives by his widow Sherri, who says it “was clearly a very important book for Michael,” to Harper for publication in May 2017. Christian McKay Heidicker’s Throw Your Arm Across Your Eyes and Scream, pitched as Pleasantville meets Cloverfield, following the 15-year-old daughter of the woman who was carried to the top of the Empire State Building by King Kong, in a world where the horrors of 1940s and 50s sci-fi movies are everyday occurrences, to Simon & Schuster Children’s for publication in Summer 2018. My First Time is a regular feature in which writers talk about virgin experiences in their writing and publishing careers, ranging from their first rejection to the moment of holding their first published book in their hands. 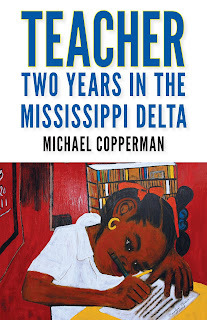 Today’s guest is Michael Copperman, author of Teacher, a memoir about teaching in the rural public schools of the Mississippi Delta. Copperman has taught writing to low-income, first-generation students of diverse background at the University of Oregon for the last decade. 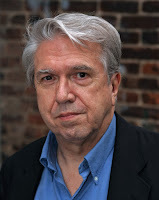 His prose has appeared in The Oxford American, The Sun, Creative Nonfiction, Salon, Gulf Coast, Guernica, Waxwing, and Copper Nickel, among other magazines, and has won awards and garnered fellowships from the Munster Literature Center, Breadloaf Writers’ Conference, Oregon Literary Arts, and the Oregon Arts Commission. In addition to his own writing, Michael also helps run the The Oregon Writers’ Collective, a group co-founded by Heather Ryan. 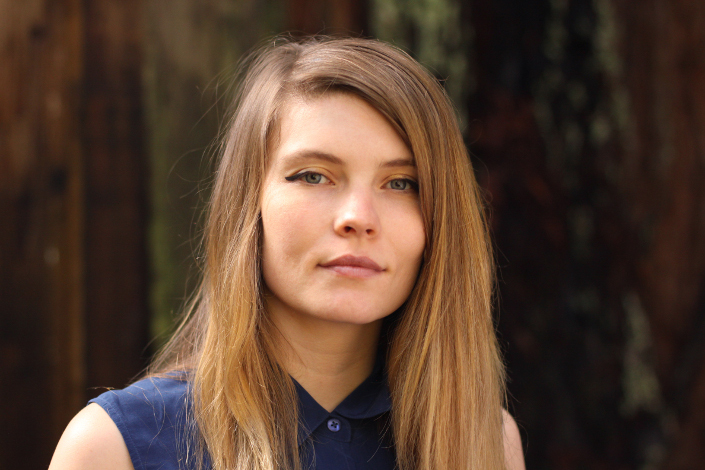 Through readings and workshops they foster a vibrant community to nurture working literary writers, particularly those who are beginning their careers, by connecting them with audiences and developing their craft. 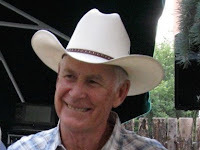 Click here to visit his website. For years and years, I preached process to my literary friends. I listened to their fears and doubts about the long odds inherent in the pursuit of lyric and literary art, and affirmed them (since I share them). I insisted that the intersection of art and commerce is the wrong obsession, that all that matters is the work of making meaning which is an end unto itself. I said (and meant it) that the integrity of art lies purely in the purity of pursuit, that what matters is not publications or awards or pay, but in the doing which is its own reward, to have reached and to have honed and to have made your work as beautiful and significant as you can. 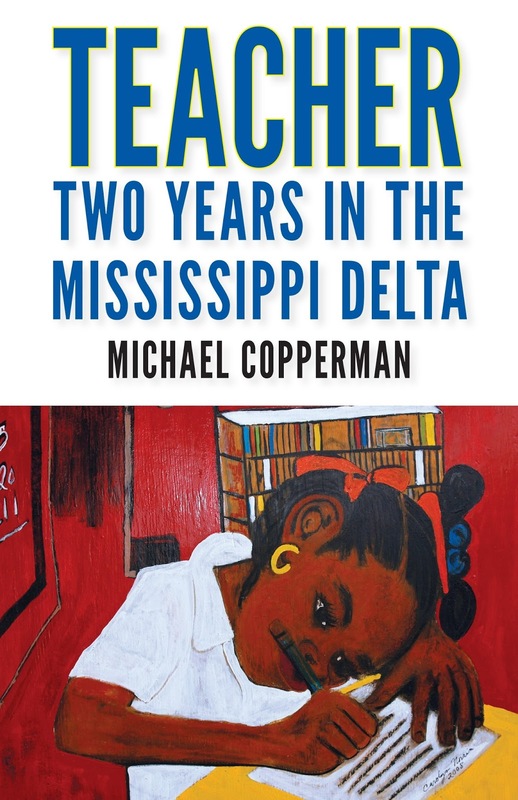 But I found my faith being tested as my agent and I tried to find a home for my memoir Teacher, a book about working in the rural public schools of the Mississippi Delta. That philosophy of process and persistence and integrity held up through what was eight years of submissions to literary magazines and journals and newspapers—held up through the years of rejection it often takes to place even an excellent story or essay out of the slush pile, held up as fellowships and opportunities and lovers passed me by, as friends left and peers seemed to soar and I struggled on the ground floor. I kept an ink-stained record of my submissions—first one side of a page, then two—more ink, smaller writing, the occasional piece circled and crossed off when it was placed. Things settled out in that process—I ascended from slush with regularity, published between four and eight pieces a year of literary fiction and nonfiction since 2008 in some of the country’s finest venues, eventually won fellowships that had formerly passed me by, hewed to process and kept a stiff upper lip when disappointment set in. 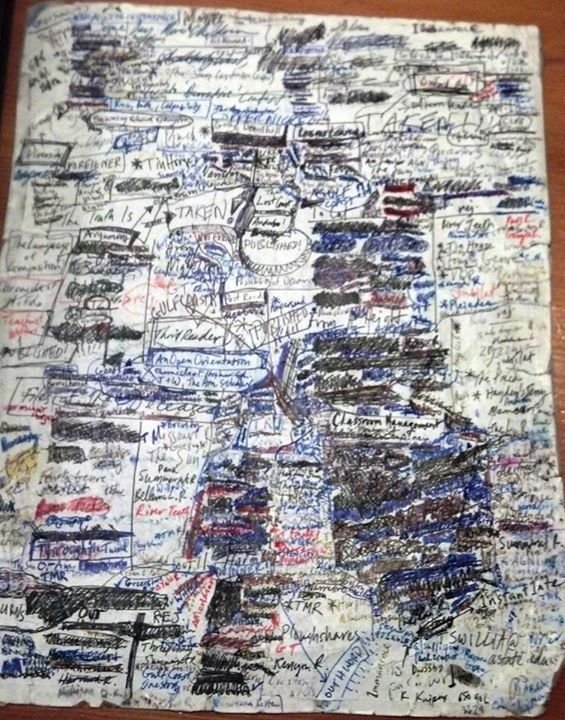 I queried perhaps 125 agents with parts of the two finished novel manuscripts that were enjambed, kept on through two years of rejection until I realized each book had to live as its own expression. I realized that being published in literary magazines matters little—even at good publications—and just as I accepted how little it meant to be in The Sun or Gulf Coast or The Oxford-American or a Norton anthology, an agent came to me saying they’d read something of mine in Creative Nonfiction and wanted to read the manuscript the piece had come from. I sent it on, expecting it to come to nothing. Days later, a phone call came from New York and suddenly I was revising the memoir with my agent, and being prepared to go to editors. That was when things got difficult. I had been psychologically dependent on production, on process, and there was a safety to that state of career—I just did the work. Now, I was judged on a finished project, and nothing to work on and no submissions to make and nothing boiling forth. I felt sick with dread, shaken by the impending stakes, by verdicts with real consequences to come. This was exactly how I used to feel before a big wrestling tournament; exactly why I grew to hate competition even as I loved the sport. For a few weeks, a month, I felt similarly about writing: I missed the doing, the reaching for meaning. 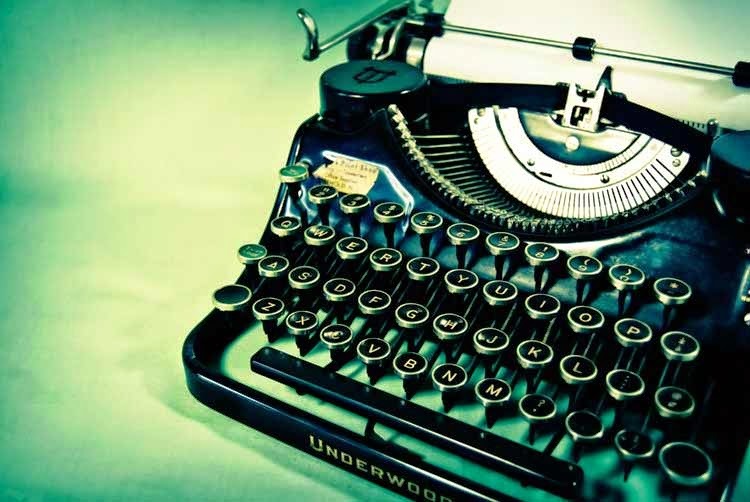 And then, even as the rejections began to come, first close calls at the big houses, and then the editors who wanted the manuscript, and then got turned down by the offer makers or boards, and then the long period when it seemed nobody at all would come calling, I kept writing. The same process: I worked on my novel, and spilled more ink on the submissions sheet for short work, and kept working even through the last months of one full year of rejection. In the end, I still did not yet have a publisher, but I did have a second manuscript. An ancient Japanese proverb tells us, “If you focus your will upon a stone, it can pass through it.” Ten and a half years ago, I began submitting work. I kept the records on this sheet of paper (two-sided), vowing not to stop until I had a published book. On September 1 this year, that sheet can be retired, as University Press of Mississippi will finally release my memoir Teacher. And now, as my agent has moved along with his career, I am beginning to search for the right representation for my novel. Cleaning guns, dropping guns, “overhandling” guns, allowing guns anywhere near children or dogs—all of these occasionally lethal activities add an often overlooked dimension to the question of whether it is guns that kill people or people who kill people: while people who kill people with guns often don’t mean to, guns are so good at it that people sometimes don’t even have to try. 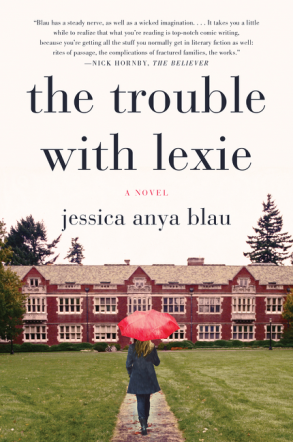 Congratulations to Bart Zimmer, winner of last week’s Friday Freebie giveaway: The Trouble with Lexie by Jessica Anya Blau. This literary collection brings together 26 poems and 6 essays inspired by the zombies and characters of AMC's hit television show The Walking Dead. As new generations of writers, filmmakers, and artists continue to revisit the notion of the undead and continue to add to the richness of its legacy, we have to ask what fascinates us so much about this particular monster. 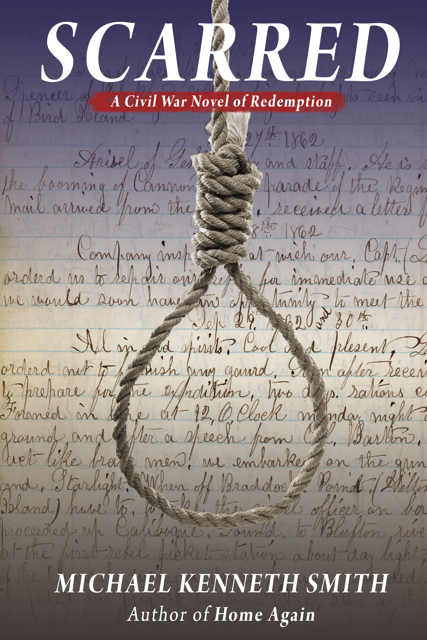 The authors of the literary works in this collection provide robust responses to that question. This collection speaks to the tension between a fascination with zombies and a repugnance with their fearful decrepitude. Somewhere within that tension is our continual desire to know, to understand, to commiserate with the post-apocalyptic inhabitants of films and television shows, like The Walking Dead, where zombies are the norm. 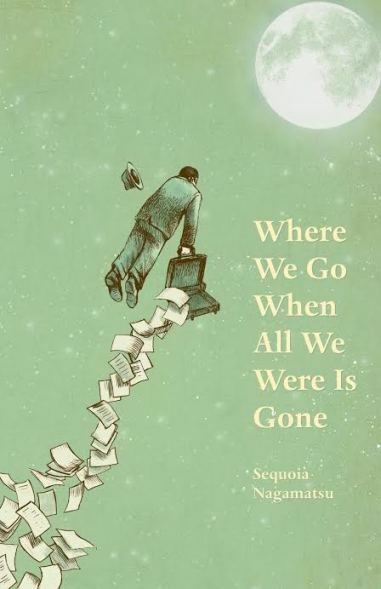 The literary works in this anthology are rich in messages about our frail humanity, messages that transcend overt metaphor. The result is a lens that focuses on our own self-inflicted hunger for something. For what? For what do we hunger? And will we be satiated before the bite comes from behind? Put FRIDAY FREEBIE in the e-mail subject line. Please include your mailing address in the body of the e-mail. One entry per person, please. Despite its name, the Friday Freebie runs all week long and remains open to entries until midnight on Aug. 25, at which time I’ll draw the winning name. I’ll announce the lucky reader on Aug. 26. If you’d like to join the mailing list for the once-a-week newsletter, simply add the words “Sign me up for the newsletter” in the body of your email. Your email address and other personal information will never be sold or given to a third party (except in those instances where the publisher requires a mailing address for sending Friday Freebie winners copies of the book). Ray Bradbury was a wizard with words, casting spells left and right, mesmerizing the readers of his 27 novels and 600 short stories. He sometimes wrote about hypnotists, magicians, and soothsayers, but the real wizardry happened in the elixir of his words. 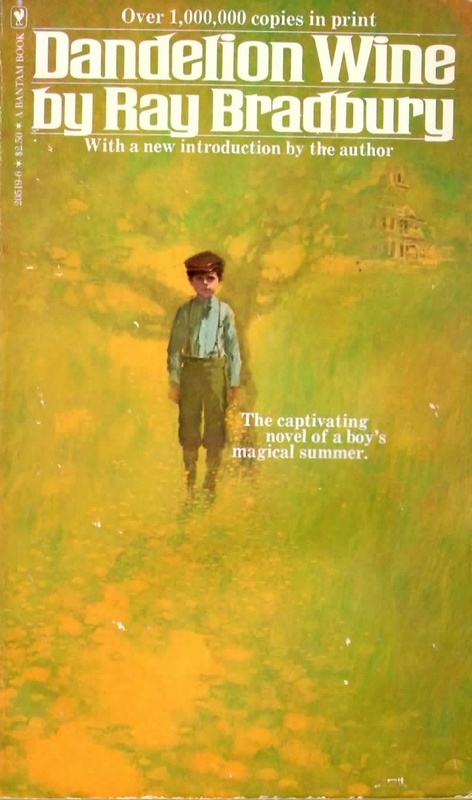 Though I could fault Mr. Bradbury for packing a few too many “life lessons” into just one summer, and for making 12-year-old Douglas too wise beyond his years, it’s probably best to set those aside and just go with the flow of the book. And flow it does, from golden vignette to golden vignette across the June to August span of months. There are moments of true beauty (the dawning realization that the fabled Time Machine the boys are so excited about is none other than ancient Colonel Freeleigh who spins stories about the Civil War and hunting buffalo with Pawnee Bill) and true terror (Lavinia Nebbs walking through the dark ravine when The Lonely One, a serial killer, is still on the loose). 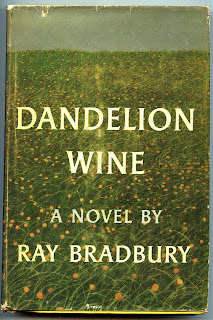 The real Time Machine conductor here is Bradbury himself as he transports readers back to a small Midwestern town of the 1920s, a world of trolleys, soda fountains, junk peddlers, Saturday afternoon matinees, and sitting on the front porch in the evening eating chilled foil-wrapped Eskimo Pies and falling asleep to the sound of the adults’ conversation murmuring soft while the squeak of their rocking chairs sing like crickets into the falling blanket of night. The facts about John Huff, aged twelve, are simple and soon stated. He could pathfind more trails than any Choctaw or Cherokee since time began, could leap from the sky like a chimpanzee from a vine, could live underwater two minutes and slide fifty yards downstream from where you last saw him. The baseballs you pitched him he hit in the apple trees, knocking down harvests. He could jump six-foot orchard walls, swing up branches faster and come down, fat with peaches, quicker than anyone else in the gang. He ran laughing. He sat easy. He was not a bully. He was kind. His hair was dark and curly and his teeth were white as cream. He remembered the words to all the cowboy songs and would teach you if you asked. He knew the names of all the wild flowers and when the moon would rise and set and when the tides came in or out. He was, in fact, the only god living in the whole of Green Town, Illinois, during the twentieth century that Douglas Spaulding knew of. 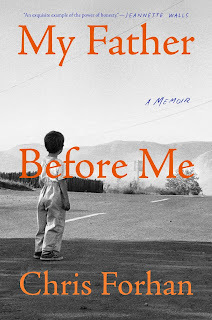 The author of Brand New Human Being returns with what looks like a terrific, engaging story of a family drama that plays out over four days on Cape Cod. I love the way this novel seems to glow, from the cover design to the opening paragraphs. Jacket Copy: Vance Lake is broke, jobless, and recently dumped. 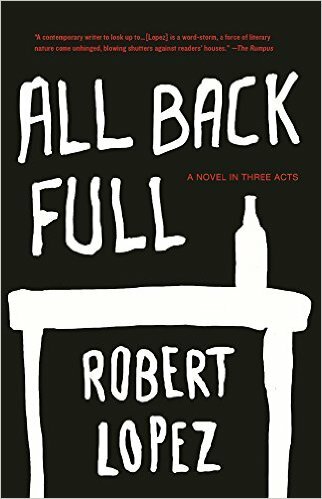 He takes refuge at his twin brother Craig’s house on Cape Cod and unwittingly finds himself smack in the middle of a crisis that would test the bonds of even the most cohesive family, let alone the Lakes. 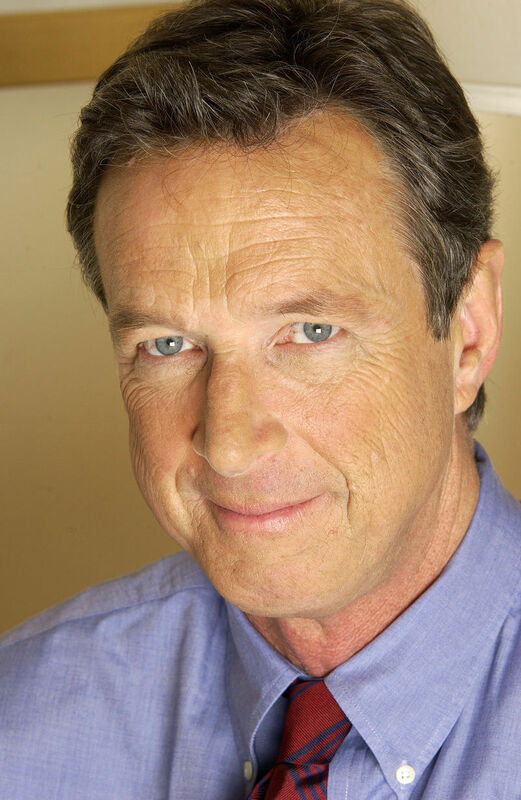 Craig seethes, angry and mournful at equal turns. His exasperated wife, Gina, is on the brink of an affair. At the center of it all is seventeen-year-old Amanda: adored niece who can do no wrong to Vance, surly stepdaughter to Gina, and stubborn, rebellious daughter to Craig. She’s also pregnant. 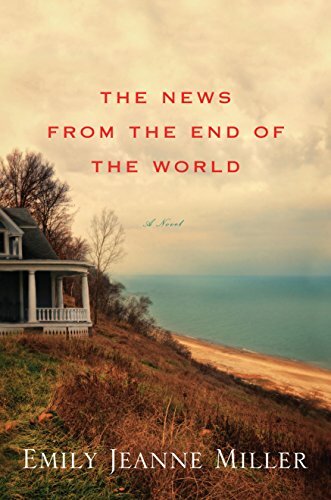 Told in alternating points of view by each member of this colorful New England clan and infused with the quiet charm of the Cape in the off-season, The News from the End of the World follows one family into a crucible of pent-up resentments, old and new secrets, and memories long buried. Only by coming to terms with their pasts, both as individuals and together, do they stand a chance of emerging intact. Opening Lines: In Vance’s dream, nothing is the matter. He’s home with Celeste, it’s sunset, and the sky through the west-facing windows of their living room glows pink. Celeste, fresh from her post-run shower, sits on his lap, straddling him. She looks sleek and lovely, with flushed cheeks and her wet hair combed straight back, and there’s music playing—her music, sitars, singing bowls, bells. She’s holding a glass of wine and teasing him with it, tipping it toward his lips and, just before he can taste it, taking it away. And then she’s doing other things, odd things—kneading his cheeks roughly, tapping her fingernails against his teeth—and when he asks her to stop, the dream changes: darkness descends, Celeste dissipates. He tries standing up but he can’t, there’s a great weight on him, something heavy holding him down. When he opens his eyes it’s dark, and it takes a few moments for him to remember where he is—that he’s not at home, not with Celeste. He’s in his brother’s attic, sweating under an itchy army blanket that smells of mothballs, of the past. Only the heaviness he felt in the dream is real. As his eyes adjust he sees that the thing holding him down is a person: his niece, Helen, is sitting on his chest. Jacket Copy: “You should be here; he’s simply magnificent.” These are the final words a biologist hears before his Margaret Mead-like wife dies at the hands of Godzilla. The words haunt him as he studies the Kaiju (Japan’s giant monsters) on an island reserve, attempting to understand the beauty his wife saw. “The Return to Monsterland” opens Where We Go When All We Were Is Gone, a collection of twelve fabulist and genre-bending stories inspired by Japanese folklore, historical events, and pop culture. In “Rokurokubi,” a man who has the demonic ability to stretch his neck to incredible lengths tries to save a marriage built on secrets. The recently dead find their footing in “The Inn of the Dead’s Orientation for Being a Japanese Ghost.” In “Girl Zero,” a couple navigates the complexities of reviving their deceased daughter via the help of a shapeshifter. And, in the title story, a woman instigates a months-long dancing frenzy in a Tokyo where people don’t die but are simply reborn without their memories. 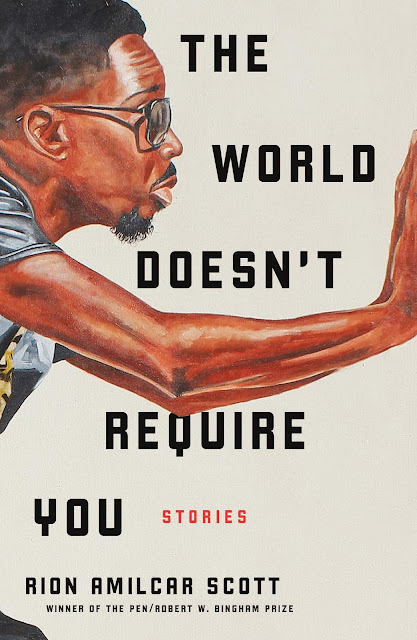 Every story in the collection turns to the fantastic, the mysticism of the past, and the absurdities of the future to illuminate the spaces we occupy when we are at our most vulnerable. What we talk about when we talk about books that snap expectations like sticks over our knees: Robert Lopez’ new book (coming in early 2017) looks like a novel but reads like a stage play. I’m eager to see what he’ll do with a heavy reliance on dialogue and “stage directions” as he describes one day in the life of a marriage. Jacket Copy: Act One: At a kitchen table, a husband and wife discuss the news, nudists, and lie to each other about the ways they no longer connect. Act Two: At a kitchen table, a man and his friend discuss the weather, the state of public transportation, and lie to each other for the sake of something to say. Act Three: At a kitchen table, three people discuss, mostly, nothing, and watch the threads unravel as their lives come apart at the seams. Told in a genre-defying style that melds the depth of the novel with the honesty of the stage, All Back Full charts one day in a marriage at once usual and unusual, exploring what we say to each other when we say nothing, and the ways we speak to each other without words. Opening Lines: The setting is an ordinary setting. A kitchen. One table and four chairs. A counter with a sink. Cabinets across the room from the table and chairs. A door that opens into the kitchen. The principals are at the table. They are married to each other. 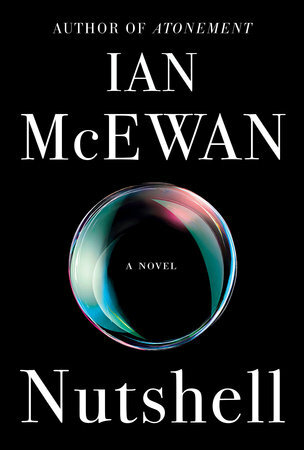 Ian McEwan, Booklist writes, “can be counted on to make the implausible plausible and the outrageous reasonable.” Well, the outrageously implausible is hard at work in his new novel, Nutshell: a murder mystery narrated by a fetus. Okay, you can pull your eyebrows down from your hairline now. I’m reserving judgment until I can read the whole of this short novel, but the opening lines carry the promise of all the good things I’ve come to expect from McEwan in books like Atonement and On Chesil Beach. Jacket Copy: Trudy has betrayed her husband, John. She’s still in the marital home—a dilapidated, priceless London townhouse—but John’s not there. Instead, she’s with his brother, the profoundly banal Claude, and the two of them have a plan. But there is a witness to their plot: the inquisitive, nine-month-old resident of Trudy’s womb. 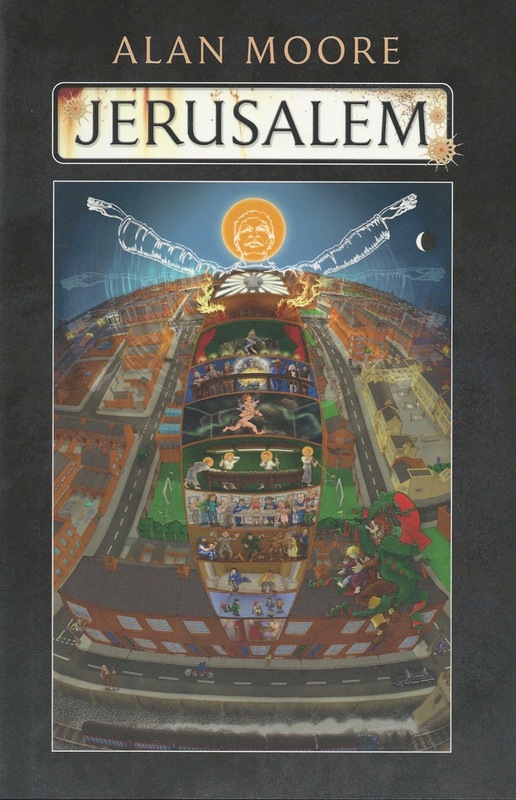 Told from a perspective unlike any other, Nutshell is a classic tale of murder and deceit from one of the world’s master storytellers. Opening Lines: So here I am, upside down in a woman. Arms patiently crossed, waiting, waiting and wondering who I’m in, what I’m in for. 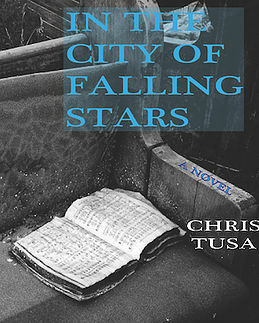 Paranoia threads its way through Chris Tusa’s new novel In the City of Falling Stars. Stars aren’t the only things falling in these pages: birds do, too, as well as the main character’s tolerance for idiots. What’s rising, though, are my expectations for a great read. Any time you combine bird flu, terrorism, murder, ulcerated stomachs, and the Second Coming of the Lord, I’m bound to be hooked and booked. Jacket Copy: Dead birds are falling out of the sky and Maurice Delahoussaye suspects the air in New Orleans may be unsafe. The Department of Wildlife and Fisheries claims the birds were poisoned, while meteorologists suggest they were killed by a sudden change in temperature. There’s even talk of terrorism, Bird Flu, West Nile Virus, or high levels of mold spores left over from the aftermath of Hurricane Katrina. Gradually, Maurice becomes increasingly fearful that the government is hiding an ominous secret, and when he begins having strange religious premonitions suggesting that his wife is pregnant with Jesus Christ, he becomes convinced that the dead birds are a sign from God. In the City of Falling Stars is a tragicomedy that examines the increasing paranoia following the September 11th attacks, as well as a commentary on the devastating psychological scars that the storm left on the city of New Orleans. 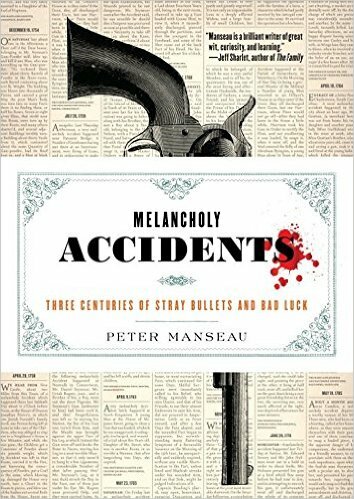 Opening Lines: For the last few days Maurice Delahoussaye had been thinking of ways to kill Michael. He’d considered poisoning him, planting a bomb in his car, stabbing him, pushing him off an overpass, drowning him, electrocuting him, slitting his throat, even setting him on fire. When he finally decided that shooting him was the best option, Maurice climbed into his car and drove to New Orleans East, toward a dilapidated Six Flags amusement park on the edge of the city. Rule #1: Write an opening sentence that has conflict, intrigue, and tension. Rule #2: Include a newborn baby in that opening sentence. Rule #3: In that opening sentence, casually mention a strait-jacketed man is being pushed in a wheelchair across an airport runway. Rule #4: Throw some spinning helicopter blades into the mix. 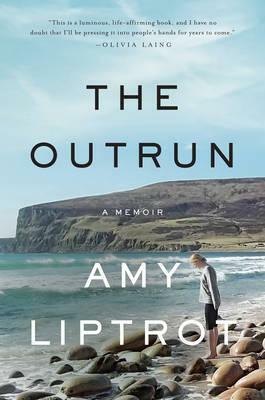 Jacket Copy: After a childhood spent on an island in northern Scotland, and shaped as much by her father’s mental illness as by the cycle of the seasons on their sheep farm, Amy Liptrot longed to escape her remote life. When she moved to London, she found herself in a hedonistic cycle. Unable to control her drinking, she gradually let alcohol take over. After more than a decade away, Liptrot returns home to Orkney, struggling to come to terms with what happened to her in London and trying to heal. Spending early mornings swimming in the bracingly cold sea, her days tracking Orkney’s wildlife―puffins nesting on sea stacks, arctic terns swooping close enough that she can feel their wings―and her nights searching the sky for the Merry Dancers, Liptrot makes the journey toward recovery from addiction and begins to come alive again. 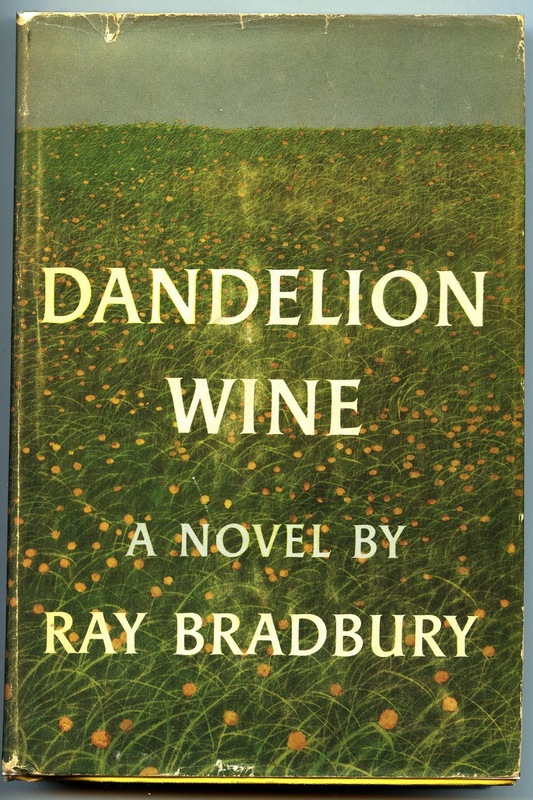 Opening Lines: Under whirring helicopter blades, a young woman holds her newborn baby as she is pushed in a wheelchair along the runway of the island airport to meet a man in a strait-jacket being pushed in a wheelchair from the other direction. That day, the two twenty-eight-year-olds had been treated at the small hospital nearby. The woman was helped to deliver her first child. The man, shouting and out of control, was restrained and sedated. When someone mentions “mules” and “war” in the same breath, the first thing I think about is Francis, the Talking Mule (yes, my life is soaked in obscure, mid-20th-century trivia). But the hybrid horses in Lydia Peelle’s debut novel are about as far from sitcom jackasses as one can get. The Midnight Cool begins with its main character and a mule named Sonofabitch Number Two belly-deep in mud just outside the Argonne Forest in 1918 and promises to get even better from that point forward. Jacket Copy: Lydia Peelle, the Whiting Award—winning author of the story collection Reasons for and Advantages of Breathing, delivers her enchanting debut novel, set in 1916 Tennessee: a rich and rewarding tale of two flawed yet endearing grifters who pursue women, wealth, and a surprisingly valuable commodity for the troops in Europe—mules. A middle-aged Irish immigrant, Billy has a gift for illusion—making damaged objects look new. His companion, Charles, the smooth-tongued teenage son of a prostitute, is a natural salesman, just like the mythical father he’s never met. Longtime horse traders and partners, they’ve recently turned their talents to trading mules. But in the summer of 1916, these seasoned grifters skilled in the art of the underhanded deal have just been swindled themselves. They’re saddled with the one thing they may not be able to unload: a gorgeous, murderous black mare named The Midnight Cool. Charles should have listened to Catherine, the beautiful, rebellious daughter of Leland Hatcher, the richest man in Richfield, Tennessee, and the former owner of The Midnight Cool. The horse would be worth a fortune—if she weren’t a verified man-killer who attacks on sight. Charles and Billy are rooted in this muggy town until they can miraculously retrain their recalcitrant mare, and in the shadow of the growing inevitability of war, their bond begins to fray. Falling in love with Catherine—and under the spell of the deceitful, wealthy Leland, the vision of himself he’d like to be—Charles pulls away from the older man. Despite their growing distance, Billy and Charles find their business thriving when the war in Europe pushes the demand for mules sky-high and the United States enters the fight. But when a trade goes terribly wrong, Charles is forced to reevaluate his allegiance to his country, the moral implications of his lifestyle, his relationship with Catherine, and, ultimately, his mysterious and surprisingly deep connection to Billy. 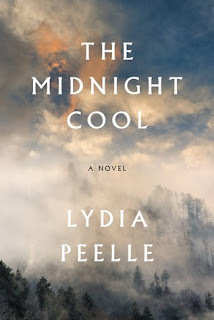 Populated by spirited, memorable characters, The Midnight Cool is a startlingly profound tale of aspiration, loyalty, and love—and the eternal search for something lasting in a transitory world. Opening Lines: Another shell explodes in the distance. Charles and the mule are stuck, mired in the mud. It is dawn, and the sky is the color of mud, the earth is mud, the whole world is mud. The only thing that is not mud is a stand of wasted trees ahead. Beyond those trees the rest of Charles’s unit moves towards the Argonne Forest along a road that is a river of mud, studded with nails and barbed wire the Germans scattered to slow them. I’ve often thought about giving two weeks’ notice at the Day Job, hiring a catsitter for Ash and Cinder, and, chucking all domestic responsibility, grabbing my wife to head out on a cross-country bike ride. The thought of saddle sores and loss of major income are really the only things stopping me. What I dream, Rocco Versaci does. 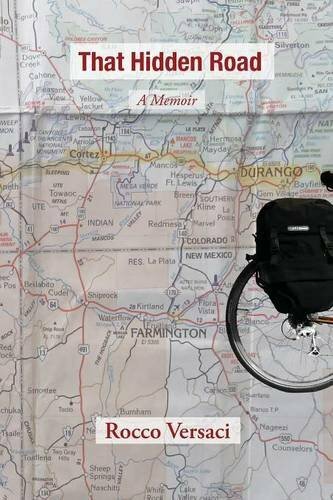 Not too long ago, the 42-year-old put his bike tire in the Pacific Ocean, then turned to face eastward and started pedaling. 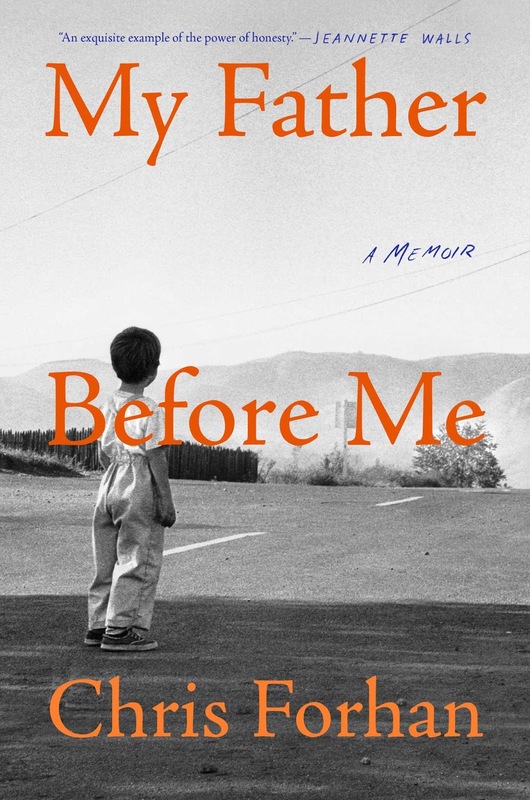 The result is this intriguing memoir that I’m adding to my must-read shelf. Maybe I’ll read it while walking on the treadmill in my basement, pretending that I’m walking across the United States with Mr. Versaci. Jacket Copy: On a Wednesday morning in May of 2010, 42-year-old Rocco Versaci dipped the rear tire of his bicycle into the Pacific Ocean and began to pedal, alone, across the country. He had what he thought was a simple idea-to sort out the story of his life, which had taken a couple of unexpected detours in recent years. That Hidden Road is a memoir of the two months he spent crossing the country by bike. It’s a story of burning saddle sores, heart-popping climbs, and unleashed dogs with a taste for ankle. It’s a story of America’s less-traveled roads and the people who live there. And it’s a story of rebuilding a life from fragments, the spirit of the whole journey captured in a question most of us ask at one point or another: Can I find my way home? Blending travel writing, memoir, and even comics, That Hidden Road—like Kerouac’s On the Road, William Least Heat Moon’s Blue Highways, and Cheryl Strayed’s Wild—is an unforgettable story of being lost and found on the road in America. The words came to me slowly. It had been a rough morning, so just before lunch I decided to take a quick twenty-minute nap that stretched into an hour and a half, and now I was struggling to reenter the world. I tried to will my eyes to stay open, but they kept dropping shut as if I’d been drugged. My limbs felt like rubber and my face was gummy. I should have just let the call go to voicemail, but my hand somehow reached the phone and my fingers somehow opened it and my mouth somehow said “Hello?” and they my cousin Cathy told me that our other cousin Linda thought I was dead. “She saw the card and started crying,” Cathy said. Why, in the name of all that is holy, when I am already feeling overbooked, would I want to undertake the task of reading a 1,266-page novel, nearly 4 pounds in the hand, that’s sure to bend and possibly break my mind? Simple answer: because the name Alan Moore (V for Vendetta, From Hell, Watchmen, et al) is on the cover. And because the thousand-plus pages are filled with what the publisher calls a “dizzyingly rich cast of characters” including “the living, the dead, the celestial, and the infernal.” Sure, Jerusalem is a heavy, potentially months-long commitment, but I think I’m up for the holy challenge, other books be damned. 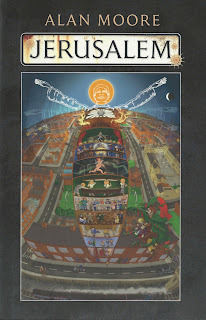 Jacket Copy: In the epic novel Jerusalem, Alan Moore channels both the ecstatic visions of William Blake and the theoretical physics of Albert Einstein through the hardscrabble streets and alleys of his hometown of Northampton, UK. In the half a square mile of decay and demolition that was England’s Saxon capital, eternity is loitering between the firetrap housing projects. Embedded in the grubby amber of the district’s narrative among its saints, kings, prostitutes, and derelicts, a different kind of human time is happening, a soiled simultaneity that does not differentiate between the petrol-colored puddles and the fractured dreams of those who navigate them. Employing, a kaleidoscope of literary forms and styles that ranges from brutal social realism to extravagant children’s fantasy, from the modern stage drama to the extremes of science fiction, Jerusalem’s dizzyingly rich cast of characters includes the living, the dead, the celestial, and the infernal in an intricately woven tapestry that presents a vision of an absolute and timeless human reality in all of its exquisite, comical, and heartbreaking splendor. In these pages lurk demons from the second-century Book of Tobit and angels with golden blood who reduce fate to a snooker tournament. Vagrants, prostitutes, and ghosts rub shoulders with Oliver Cromwell, Samuel Beckett, James Joyce’s tragic daughter Lucia, and Buffalo Bill, among many others. 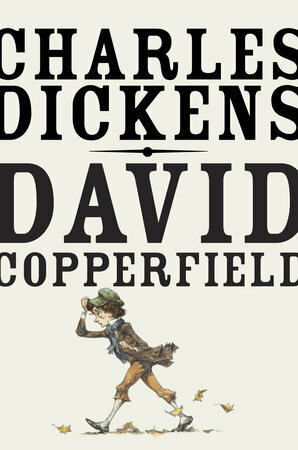 There is a conversation in the thunderstruck dome of St. Paul’s Cathedral, childbirth on the cobblestones of Lambeth Walk, an estranged couple sitting all night on the cold steps of a Gothic church front, and an infant choking on a cough drop for eleven chapters. An art exhibition is in preparation, and above the world a naked old man and a beautiful dead baby race along the Attics of the Breath toward the heat death of the universe. An opulent mythology for those without a pot to piss in, through the labyrinthine streets and pages of Jerusalem tread ghosts that sing of wealth, poverty, and our threadbare millennium. They discuss English as a visionary language from John Bunyan to James Joyce, hold forth on the illusion of mortality post-Einstein, and insist upon the meanest slum as Blake’s eternal holy city. Opening Lines: Alma Warren, five years old, thought that they’d probably been shopping, her, her brother Michael in his pushchair and their mum, Doreen. Perhaps they’d been to Woolworth’s. Not the one in Gold Street, bottom Woolworth’s, but top Woolworth’s, halfway along Abington Street’s shop-lit incline, with its spearmint green tiled milk-bar, with the giant dial of its weighing machine trimmed a reassuring magnet red where it stood by the wooden staircase at the building's rear. My First Time is a regular feature in which writers talk about virgin experiences in their writing and publishing careers, ranging from their first rejection to the moment of holding their first published book in their hands. 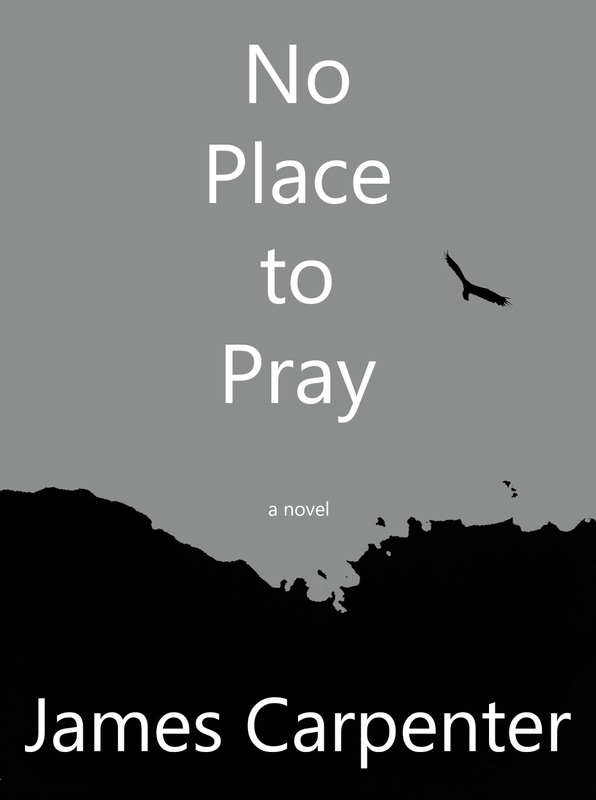 Today’s guest is James Carpenter, author of the new novel No Place to Pray. 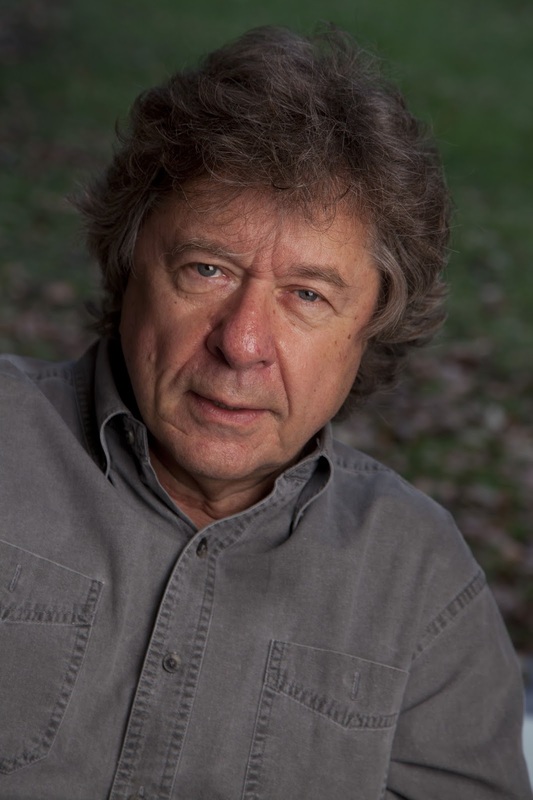 James Carpenter began writing fiction after an eclectic career in education, business, and information technology. 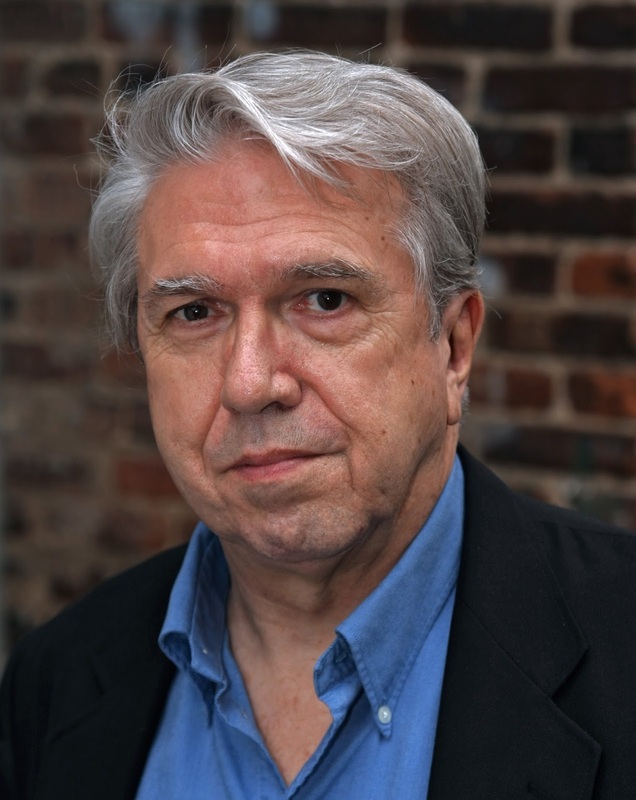 His stories have appeared in numerous publications including The Chicago Tribune Printers Row, Fiction International, and Fourteen Hills. The second worst thing that happened to me as a fiction writer was getting the first story I wrote published—in descant’s 2009 issue. Worse yet was descant’s giving it their Frank O’Connor Award. Ten years ago I was anxious about facing the vacuum of retirement after a life defined by work. 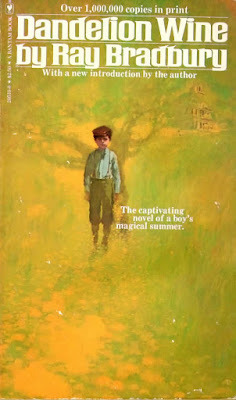 I thought maybe I could fill it writing fiction and began work on a coming-of-age story about a teen-aged boy whose father makes him kill his dog. I worked on “Animal Story” nearly every day for six months. Revising, cutting, pasting back what I’d cut. Changing point of view, changing setting, grappling for mood and tone that were just dark enough to make the story disturbing but keep it on this side of parody. When it was done and while I worked on new stories, I sent it to nineteen different publications, all of which rejected it. At the time I feared that all those rejections, nineteen for crying out loud, were telling me maybe I’d be better off finding something else to fill the retirement void. I decided I would send it out one more time, get that twentieth rejection, and call it quits. Then lightning struck—my SASE to descant came back with the message “Acceptance enclosed” written along the bottom of the envelop in red ink. Evidently I wasn’t the only writer who despondently tossed those responses from literary journals in a pile to look at later (what’s the use, right?). A few weeks later David Kuhne, descant’s editor, emailed me to say I’d won the Frank O’Connor Award. A very bad thing for me—proving as it did that I was really hot stuff. Shortly thereafter, I received another acceptance for my story “Two Jews Walk into a Bar,” about a frustrated author who could never finish anything. Somewhat experimental, the piece tells his story through the openings of ones he can’t finish. I labored at it for months, writing nearly seventy-five openings from which I eventually mined the thirty-two of the final published version. Following that came a marvelous autumn when I had six stories accepted in three months. Every journal wanted changes and every one had a deadline. A crushing workload, but I was ecstatic in spite of the pressure, working at something I really enjoyed, filling my empty retirement days, but mostly because all of this success surely meant only one thing—that I was truly hot stuff. And if any little hesitancy or doubt were to creep in to suggest I might not be, all I had to do was remember that I’d won an award with my very first story. I started churning out stories at the rate of about two a month. One week to write. One more to edit. And then out the door they went. Strangely, nothing the least bit encouraging, I mean not a single thing, came back from all those editors who clearly didn’t realize how hot I was. I wasted nearly two years before taking stock. What was different? What was different was that being hot stuff meant I didn’t have to spend all that time thinking and writing and discarding. On rewriting and research. On just plain diligence and hard work. Chastened, I went back to the way I’d started, letting each story unravel on its own timeline and throwing the dreadful ones away. Accepting that 100 strong words in a day will get you to the end way faster than 2,500 weak ones. In time the acceptances began again, eventually building to a steady, if modest, stream. 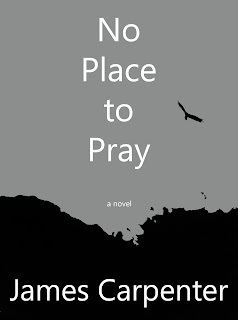 Lesson learned, I took the same approach with my novel, No Place to Pray. Over a five-year period, its main characters evolved from a university professor leading a Denis Johnson-like coterie of down-and-out angels, to an Ivy League teaching assistant, to a couple of homeless alcoholics living under a bridge. It moved from North Dakota to west Philly, to a fictional southern state. I “finished” it at least six times before I was satisfied enough to send it out. A few months later Twisted Road Publications offered to publish it. It’s too easy for me to forget that writing is hard. It’s hard even to do it badly, let alone well. But as long as I keep that in mind and stay honest to myself about my talents, I seem to do okay. 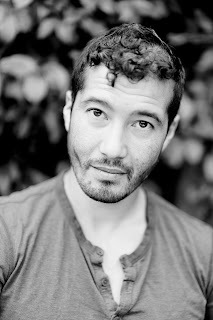 As for my occasional hubristic relapse into believing that I am really hot stuff? That’s descant’s fault for publishing my very first story, not mine. To touch her face was that always new experience of opening your window one December morning, early, and putting out your hand to the first white cool powdering of snow that had come, silently, with no announcement, in the night. Congratulations to Stephen Furlong, winner of last week’s Friday Freebie giveaway, the bundle of three new novels: All the Lasting Things by David Hopson, Intrusion by Mary McCluskey, and After Disasters by Viet Dinh. From the beloved author of The Summer of Naked Swim Parties and The Wonder Bread Summer comes the story of Lexie James, a counselor at an exclusive New England prep school, whose search for happiness lands her in unexpectedly wild trouble. Lexie James escaped: after being abandoned by her alcoholic father, and kicked out of the apartment to make room for her mother’s boyfriend, Lexie made it on her own. She earned a Masters degree, conquered terrifying panic attacks, got engaged to the nicest guy she’d ever met, and landed a counseling job at the prestigious Ruxton Academy, a prep school for the moneyed children of the elite. But as her wedding date nears, Lexie has doubts. Yes, she’s created the stable life she craved as a child, but is stability really what she wants? In her moment of indecision, Lexie strikes up a friendship with a Ruxton alumnus, the father of her favorite student. It’s a relationship that blows open Lexie’s carefully constructed life, and then dunks her into shocking situations with headline-worthy trouble. The perfect cocktail of naughtiness, heart, adventure and humor, The Trouble with Lexie is a wild and poignant story of the choices we make to outrun our childhoods—and the choices we have to make to outrun our entangled adult lives. Put FRIDAY FREEBIE in the e-mail subject line. Please include your mailing address in the body of the e-mail. One entry per person, please. Despite its name, the Friday Freebie runs all week long and remains open to entries until midnight on Aug. 18, at which time I’ll draw the winning name. I’ll announce the lucky reader on Aug. 19. If you’d like to join the mailing list for the once-a-week newsletter, simply add the words “Sign me up for the newsletter” in the body of your email. Your email address and other personal information will never be sold or given to a third party (except in those instances where the publisher requires a mailing address for sending Friday Freebie winners copies of the book). The jacket copy also hints this is a twisty thriller in the same vein as Agatha Christie. I think Dame Agatha would have loved the sentence used in the trailer: “How can there be a murder when there is no body?” The trailer is short, but memorable. 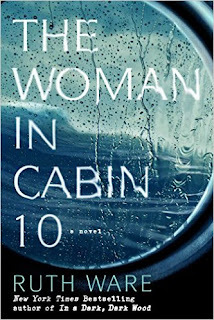 Using floating words over a slow zoom-out from a stormy sea, it brings us into a ship’s cabin through the porthole and we realize we’re looking at the book’s cover design. It’s just enough to intrigue us with storm-tossed ships, missing persons, and empty cabins. Who’s ready to take this cruise with me? Why is it so loud when you cry from grief? Because it must be loud enough for the missing one to hear, though it never can be. Congratulations to Josh Forsythe, Liliana Montero, and Jon Butters, winners of last week’s Friday Freebie giveaway: The Hike by Drew Magary. In All the Lasting Things, the Fisher family of Alluvia, New York, is coming undone. Evelyn spends her days tending to her husband, Henry—an acclaimed and reclusive novelist slowly losing his battle with Alzheimer’s. Their son, Benji, onetime star of an ’80s sitcom called Prodigy, sinks deeper into drunken obscurity, railing against the bit roles he’s forced to take in uncelebrated regional theater. His sister, Claudia, tries her best to shore up her family even as she deals with the consequences of a remarkable, decades-old secret that’s come to light. When the Fishers mistake one of Benji’s drug-induced accidents for a suicidal cry for help, Benji commits to playing a role he hopes will reverse his fortune and stall his family’s decline. Into this mix comes Max Davis, a twentysomething cello virtuoso and real-life prodigy, whose appearance spurs the entire family to examine whether the secrets they thought were holding them all together may actually be what’s tearing them apart. 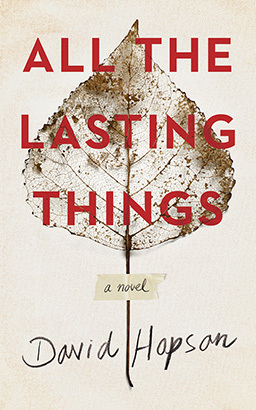 David Hopson’s All the Lasting Things is a beautiful, moving family portrait that explores the legacy we all stand to leave—in our lives, in our work—and asks what those legacies mean in a world where all the lasting things do not last. 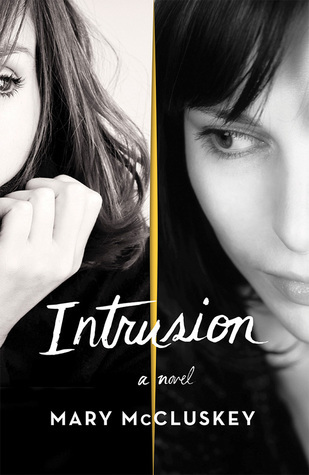 In Intrusion, a loving couple, grieving the loss of their son, finds their marriage in free fall when a beautiful, long-lost acquaintance inserts herself into their lives. Kat and Scott Hamilton are dealing with the hardest of losses: the death of their only child. While Scott throws himself back into his law practice in Los Angeles, Kat is hesitant to rejoin the workplace and instead spends her days shell-shocked and confused, unable to focus. 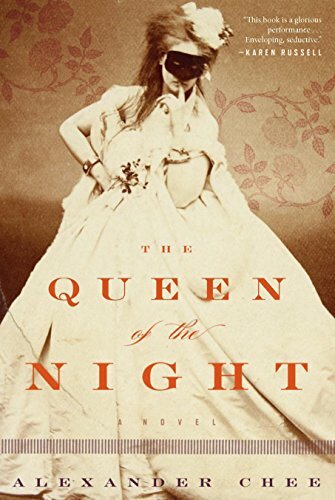 When an unwelcome face from Kat’s past in England emerges―the beautiful and imposing Sarah Cherrington―Kat’s marriage is thrown into a tailspin. Now wealthy beyond anything she could have imagined as a girl, Sarah appears to have everything she could need or want. But Sarah has an agenda and she wants one more thing. Soon Kat and Scott are caught up in her devious games and power plays. Against the backdrops of Southern California and Sussex, in spare and haunting prose, Mary McCluskey propels this domestic drama to its chilling conclusion. 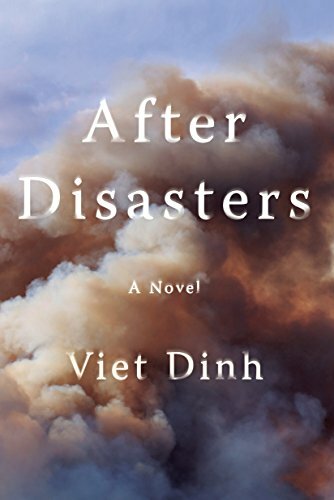 Beautifully and hauntingly written, After Disasters is told through the eyes of four people in the wake of a life-shattering earthquake in India. An intricate story of love and loss weaves together the emotional and intimate narratives of Ted, a pharmaceutical salesman turned member of the Disaster Assistance Response Team; his colleague Piotr, who still carries with him the scars of the Bosnia conflict; Andy, a young firefighter eager to prove his worth; and Dev, a doctor on the ground racing against time and dwindling resources. Through time and place, hope and tragedy, love and lust, these four men put their lives at risk in a country where danger lurks everywhere. O. Henry Prize–winning author Viet Dinh takes us on a moving and evocative journey through an India set with smoky funeral pyres, winding rivers that hold prayers and the deceased, and the rubble of Gujarat, a crumbling place wavering between life and death. As the four men fight to impose order on an increasingly chaotic city, where looting and threats of violence become more severe, they realize the first lives they save might be their own. Put FRIDAY FREEBIE in the e-mail subject line. Please include your mailing address in the body of the e-mail. One entry per person, please. Despite its name, the Friday Freebie runs all week long and remains open to entries until midnight on Aug. 11, at which time I’ll draw the winning name. I’ll announce the lucky reader on Aug. 12. 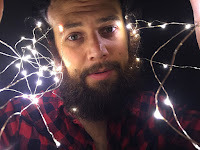 If you’d like to join the mailing list for the once-a-week newsletter, simply add the words “Sign me up for the newsletter” in the body of your email. Your email address and other personal information will never be sold or given to a third party (except in those instances where the publisher requires a mailing address for sending Friday Freebie winners copies of the book).